Buy Strike Systems Shoulder Holster |ReplicaAirguns.ca | Easter Weekend Sale! Comments: Designed especially for Dan Wesson revolvers, this shoulder holster has two speedloader pouches. 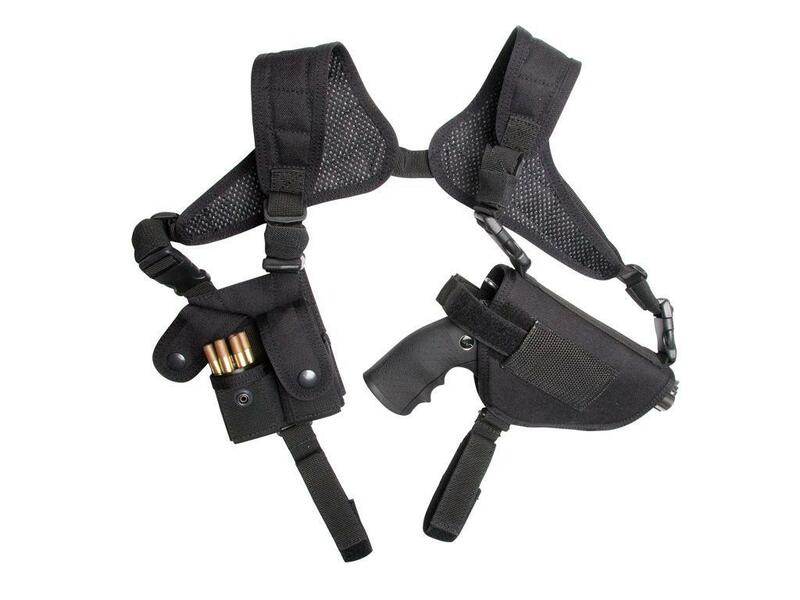 The size is fully adjustable allowing you to wear the holster concealed or overtly. This holster can quickly be changed for either left or right handed shooters. A retention strap with a push button snaps open for a fast draw. An additional safety strap keeps the gun securely in the holster and the durable nylon webbed exterior is abrasion and water resistant. The holster has been double stitched at stress points for extra strength.